Recruitment is a complex matter that involves many moving parts. One thing that can influence the success or failure of a recruitment campaign is the employer brand that’s out there for the world to see. Candidates are easily swayed by what they learn about a company, even before taking the time to apply for a job. This information comes from a variety of sources, including former employees - the “alumni” who have left the company for greener pastures. A 2017 study published by the Glassdoor, completed at the University of Las Palmas de Gran Canaria indicated that the reviews left by current and former employees influence the opinions of job seekers, and can even impact the quality of candidates and salary requirements. If alumni have left negative reviews about the company, this information is digested by future candidates from an objective standpoint. Think about it from this angle. The human mind works in a unique way. People tend to remember the negatives about things more so than the positives. People remember negative experiences more often and in more detail. This means if a former employee has had a series of negative events happen at his or her job, these will be shared more often and in stronger terms than the positive ones. Many people use company review websites and social media networks to vent about their former career, boss, or customers. It’s no wonder that a lot of what you read on review websites is negative and must be read with a grain of salt. Companies need to be mindful of this and work hard to make the employee experience a good one. This can help prevent the chance that an alumni will post something scathing about the company - thus damaging the company brand. In the next sections, we will talk about preserving the company brand when it comes to former employees. Remember that study we referenced above? It turns out that the study respondents were more likely to view the testimonials of employees and former employees as valid sources of information than awards that the company had won for human resource excellence. This is the way the human mind works. People are naturally communal by nature, therefore they listen to what their peers have to say. But when it comes to outbound employees, those who are in the process of leaving in pursuit of something else - how important is this to the employer brand? Consider that an outbound employee will be leaving for a variety of reasons. He or she will tend to be much more objective and insightful at that time as opposed to when they came into the organization. Why? Because they have a lot less to lose by speaking out about the workplace, the people there, and the truth behind the corporate culture. Perhaps this is the most brutally candid account of things that incoming candidates will hear about. Outbound employees can either write something positive or negative. Much of this has to do with the experience they’ve had while working for your company. It’s not always tied to the efforts of the company to make things positive for them, either. Consider the overall experience that employees have. Did they fit in well with their team or were they considered an outsider? Did they have enough support for professional development from their manager? Were they delivered rewarding projects to work on or did they become bored? It’s possible to improve the experience of outbound employees by making an effort to create a better experience at all levels. From the time they come on board to the time they put in their notice, investing in the happiness and engagement of your employees matters. What can your company do to preserve the reputation of your business when it comes to outbound employees? Give them safe outlets for voicing their experience and concerns - instead of a public forum like a company review website or a social media network, encourage employees to take advantage of an internal employee engagement product or a communication platform. This should give them a chance to talk about what is happening, get a reasonable response, and make changes that improve things for the employee. Demonstrate care for the employee and he or she may be less likely to disconnect and leave the organization as a result. In the next section, we will talk about another option that can help improve the organization's reputation. A good human resource practice to get into with all employees who have decided to leave the organization is the use of exit interviews. In most cases, this is an effort to try to retain an employee, rather than make a life-long advocate of this person. But the later must be the ultimate goal. A Harvard Business School study revealed some further insight into what exit interviews do for organizations. 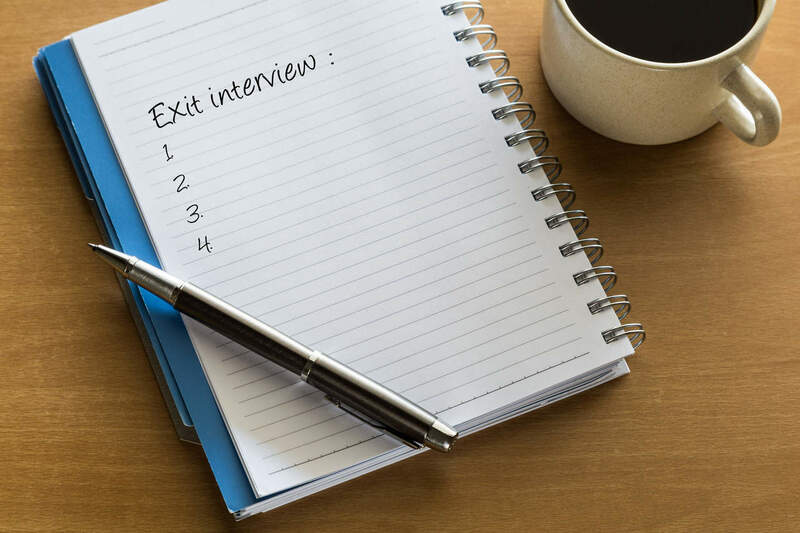 Over 200 senior executives and leaders representing 210 international companies across 30 industries were asked about their exit interview practices. Another study, conducted by Joel Lefkowitz, of Baruch College, and Myron Katz, of BFS Psychological Associates indicated that some organizations had waited for a couple of months after an employee had left the organization to send a follow-up exit interview sheet and 59% of the time they received answers that were a lot different than the original reason given for leaving. This can be attributed to additional time for the employee to reflect on their former employer and the experience they encountered there. The purpose of exit interviews has much to do with the employer brand reputation. When companies conduct exit interviews, they often discover issues that they didn't expect. This happens because employees are more forthcoming when they know they are leaving the organization. The information uncovered during an exit interview can be used to sway the decision of the employee if it’s related to a matter that can be corrected - such as compensation or a promotion that the employee deserves. In any case, it is a limited window of opportunity to make things better and learn what the company needs to do to make things better for other workers. The insight furnished by an exit interview can also provide data on what to improve for future hires. This can include things like work conduct, the company culture, job design, and team building. Since a big part of the employer brand has to do with how employees perceive things, this is data to take seriously. Meeting with outgoing employers can also reveal things about the management and professional development needs of the organization. Departing employees can share information about the style of management they’ve encountered, any gaps or absences of management input, and toxic behaviors they’ve been privy to. This is a much better place to discuss such matters with outbound employees than letting them vent on public forums. When talking with an outbound employee in an exit interview, it can be a good time to gain some insight as to the salary, benefits, and perks that your competitors are offering. It can also be helpful to know who is trying to lure your employees. A departing employee can be a valuable source of information about making improvements to the company. Again, someone who is leaving the company may have been comparing things to other companies. Use this time to gather information on the company’s reputation, market advantage, rating, processes, and more. When you treat departing employees with respect and value, they in turn are more apt to behave as brand advocates for the rest of their lives. Even if they have not had the best experience with your company, just the effort of making an exit interview positive by listening to them can be all it takes to impress them. They will be more likely to speak fondly of your company with this last impression. Who are the employees who are most often going to be positive alumni for your company? This can vary from employee to employee. However, there are some signs that a former employee is more likely to say something positive about your company and this can be leveraged for future recruitment. Look for employees who have strong social media profiles that prominently feature your company. This is someone who had positive experiences when employed by your firm and they want the rest of the world to know. They may also list special projects and share portfolio items that they completed at your company. Note employees who have taken the time to write an honest and detailed review of your company. These are alumni who are careful evaluators and are willing to share details. There may be a few negative points made, but they are usually mild. The positives outweigh the negatives. Consider people who have had repeat employment or have transitioned to a contractor role at your company. When people seem to keep coming back or they want to stay connected with your organization, it's a sign that they like the experience they have had at your company. While they may have shifted to a new role, they prefer to remain a lifelong advocates. Find alumni who are either now customers or are working with partner organizations. Again, these are the perfect example of employees who are still connected to your company. If they have been recruited by a customer or a partner, there is a high chance this was all facilitated as a result of their work at your company. Student interns and temporary workers can also be brand ambassadors for your company. While they have had a brief experience with your company, they have usually found it to be exciting and insightful. 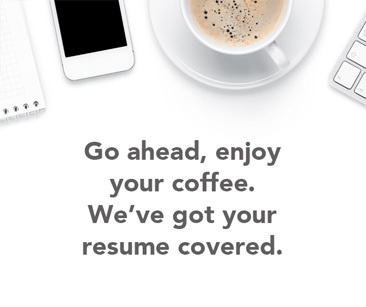 They are also looking forward to another chance to work for your company so tend to be more positive when speaking about your company. How can your company foster the positive relationships with alumni so that they become strong brand ambassadors? One way is to connect them to your company as part of an exclusive group of those who have been on the inside. This is where new, current, and former employees can stay connected to the company. This can be a useful way to facilitate recruitment goals too - through direct referrals. As part of the exclusive community, all members should be treated to frequent updates on what the company is focused on, what it has accomplished, and where it's headed. New job postings can be added to create opportunities for employees to move up in the organization or refer their colleagues. Alumni can be included as part of a generous incentive program for referring talent. Human resources should get into the practice of following up with alumni at least once within the first 30 days post-termination. This can be a good time to review any concerns that the alumni has. During this interview, best done by phone, the alumni can be asked about his or her experience, what the company can do to improve things for future hires, and keep the door open for rehire when practical. Former employees have plenty of influence on employer brand and often before people decide on an employer they ask both present and former employees. To the extent a company can influence former employees by showing them that they care and are part of a special club, they can amplify their employer branding efforts. A concern when employees leave the organization is what they will share with others. Most are held to a code of professionalism because they expect a former employer to furnish a reference for them. Or they have friends or family members still working for a former employer. Sometimes, however, a former employee will be so frustrated over his or her experience that venting on a company review website or social media page seems like the only resort. These reviews have become far too common in today’s instant-information world. Employers cannot afford to ignore that this is something that happens a lot. A Software Advice survey found that 48% of candidates had looked at Glassdoor reviews of companies at some point in their job search process. Another 40% or respondents said that they would apply to a company with a minimum of 1-star rating, and 30% said they needed to see at least a 3-star rating in order to take a chance.Consider that Glassdoor is only one of a handful of places where employees and former employees can voice their grievances. Unfortunately, negative reviews posted in haste can go viral and cost your company a bite out of its reputation. Reputation management is possible with diligence. Asking employees during exit interviews good questions and then giving them the opportunity to be listened to and taken seriously can go a long way. Following up with alumni can support good will and keep the door open if a former employee has additional ideas and feedback. Former employees are a rich source for improving employer brand. Your former employees already know your business culture and processes well. They have demonstrated at least a period of being loyal to your brand. They have shared with their colleagues how much they learned and what they accomplished while employed by your company. Former employees are a valuable source of future hiring and even contract opportunities. This is if they have the right incentives and access to the right outlets for sharing insight about your company.